While advances in early cancer detection and treatment have led to improved cancer outcomes for patients, primary prevention remains by far the best tool to reduce the cancer burden at the population level. Notably, reducing smoking rates at the population level leads to substantial and cost-effective reductions in cancer. OICR recognizes the importance of research designed to inform population approaches to reducing smoking prevalence. Despite reductions in smoking rates in Ontario and Canada, tobacco remains by far the number one preventable cause of death and disease in Ontario, Canada, and throughout the world (including being responsible for about 30 per cent of cancer cases in Canada and worldwide), where tobacco products are projected to kill a billion people in the 21st century. 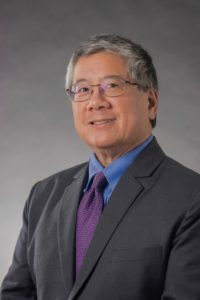 Professor Geoffrey T. Fong is the Founder and Chief Principal Investigator of the International Tobacco Control Policy Evaluation Project (the ITC Project). The ITC Project’s main objective is to evaluate the psychosocial and behavioural impact of population-level policies designed to control tobacco use. Such tobacco control policies are the subject of the first-ever health treaty, the WHO Framework Convention on Tobacco Control (FCTC). The ITC Project conducts large-scale longitudinal prospective cohort studies in 29 countries, inhabited by over 50 per cent of the world’s population, 60 per cent of the world’s smokers and 70 per cent of the world’s tobacco users, including high-income countries such as Canada, US, UK, Australia, France, and Japan, and low- and middle-income countries such as China, India, Malaysia, Bangladesh, Kenya, and Brazil. ITC findings promote the implementation of evidence-based tobacco control policies throughout the world in a collaborative effort with policymakers, researchers, and advocates to reduce the burden of the global tobacco epidemic. ITC Project findings have informed tobacco control efforts in Canada and in Ontario, for example, in support of smoke-free laws throughout Ontario and across Canada, including bans on smoking in cars with children, and the 2011-12 revision of Canada’s pictorial health warnings. ITC findings in Australia evaluating the impact of plain packaging are also being used to support Canada’s own plain packaging regulations. Fong GT, Chung-Hall J, Craig L, WHO FCTC Impact Assessment Expert Group. Impact assessment of the WHO FCTC over its first decade: Methodology of the Expert Group. Tob Control. 2018; In press. Gravely S, Giovino GA, Craig LV, …, Fong GT. Implementation of key demand-reduction measures of the WHO Framework Convention on Tobacco Control and change in smoking prevalence in 126 countries: an association study. Lancet Public Health. 2017;2(4):e166-e174. Gravely S, Fong GT, Driezen P, …, Hammond D. The impact of the 2009/2010 enhancement of cigarette health warning labels in Uruguay: Longitudinal findings from the International Tobacco Control (ITC) Uruguay Survey. Tob Control. 2016; 25(1):89-95. Chung-Hall J, Craig L, Gravely S, …, Fong GT. Impact of the WHO Framework Convention on Tobacco Control on the implementation and effectiveness of tobacco control measures: A global evidence review. Huang J, Chaloupka FJ, Fong GT. Cigarette graphic warning labels and smoking prevalence in Canada: A critical examination and reformulation of the FDA Regulatory Impact Analysis. Tob Control. 2014; 23 (Suppl 1):i7-i12. Fong GT, Cummings KM, Borland R, …, Thompson ME. The conceptual framework of the International Tobacco Control (ITC) Policy Evaluation Project. Tob Control. 2006; 15(Suppl III):iii3-iii11. Fong GT, Hyland A, Borland R, …, Driezen P. Reductions in tobacco smoke pollution and increases in support for smoke-free public places following the implementation of comprehensive smoke-free workplace legislation in the Republic of Ireland: Findings from the ITC Ireland/UK Survey. Tob Control. 2006; 15(Suppl III):iii51-iii58. See Dr. Fong’s recent publications on PubMed or on Google Scholar. The International Tobacco Control Policy Evaluation Project (the ITC Project) is a collaborative effort of a transdisciplinary team of over 150 tobacco control researchers from 10 scientific disciplines, across 29 countries—Canada, United States, United Kingdom, Australia, Ireland, Thailand, Malaysia, South Korea, Mexico, Uruguay, China, France, New Zealand, Germany, the Netherlands, Bangladesh, Brazil, Mauritius, Bhutan, India, Kenya, Zambia, Abu Dhabi (United Arab Emirates), Romania, Hungary, Greece, Poland, Spain, and Japan. The central objective of the ITC Project is to conduct rigorous evaluation of policies of the FCTC at the level of individuals, using research designs that combine the logic of quasi-experimental designs (“natural experiments”) with theory-based mediational models from psychology and health behaviour, sampling methods and designs from complex survey methods and analytic models that are designed to test for treatment effects in the context of longitudinal surveys.